There are a million different ways to use wood to decorate a blank wall. Well, today I thought that I would share some of my favorite ways to decorate the walls with wood from some very talented creators who use wood in many different, creative ways. 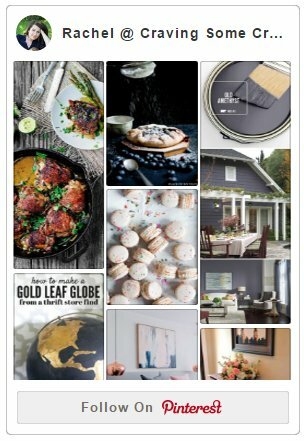 One of the things I want to do this year on the blog is a monthly design board. For January, I am sharing this dramatic and sophisticated living room. It feels right for a winter style. A cheery, whimsical space to bring out the twinkle in a child’s eye. Come on in! Decorative tape is so fun and versatile like these Christmas tree cones that are perfect to sit on a beautiful mantle or a pretty vignette. Coastal Decorating – Decide Your Beach Escape! Are you ready to dip your toes in the sand and surf even when it is snowing outside? Well, I say that if you can’t make it to the beach, bring the beach home. 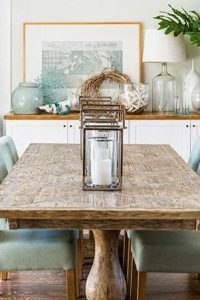 One of my favorite trends in home decorating right now is the beach style decorating trend. 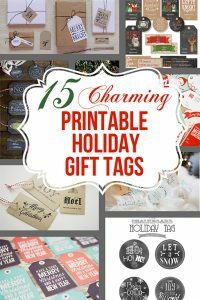 We recently adopted two rescue fur babies and I want to involve them in the Christmas Season with some fun doggie stocking stuffers and a dog treat wreath. 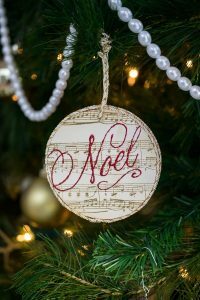 Finding a perfect tree topper can be a challenge, and a few years ago I was at a complete loss as to what to put atop my Christmas tree. So I made my own three-dimensional star and I would like to show a little tutorial about how to make your own 3-D star. 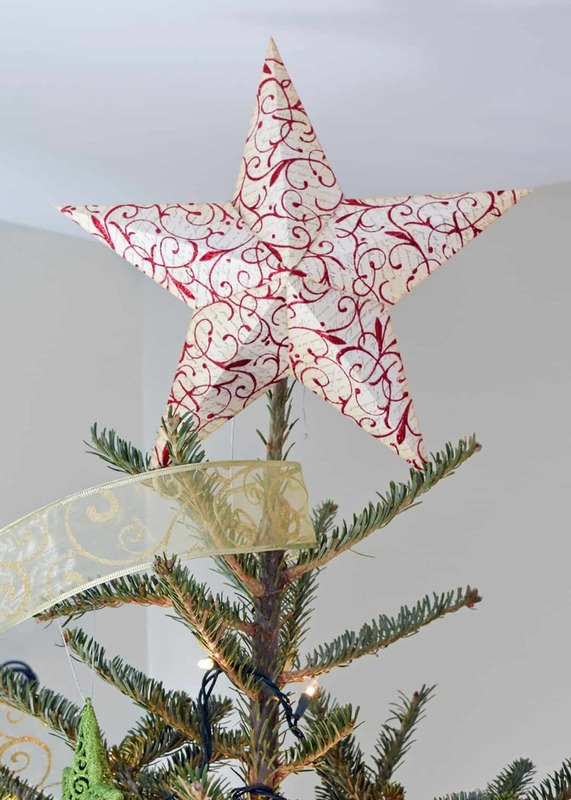 You can top your Christmas tree or even hang them to use as a pretty decoration.